Sailing Holidays Ltd is the largest British owned and operated flotilla sailing holiday company. We have been in operation for 40 years now, and are proud of our family based culture that has introduced sailing to thousands of people over the years. 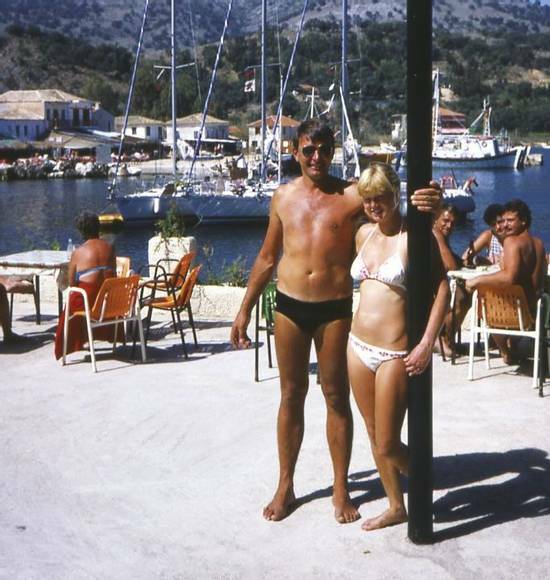 Sailing Holidays Ltd began life in 1976 as Flotilla Sailing Club. Barrie Neilson joined the company in 1979 as a flotilla engineer and subsequently worked as flotilla skipper for six years in Greece, Florida and the former Yugoslavia. In 1983 Heidi Seville went out on holiday and decided that Barrie needed 'sorting out' and she is still struggling to do just that! Between them they decided to try to sort the company itself out. A proposal was put to the owner, Tom Keen, to take over responsibility for the business and this was accepted. In 1987 the name was changed to Sailing Holidays Ltd, to more accurately define what the company did, and they sprang into action with eleven Jaguar 27 yachts. Years later, Sailing Holidays Ltd now has 178 beautiful yachts in Greece, all of which are run on flotilla sailing holidays around the Greek islands. Sailing Holidays Ltd remains the only non-corporate flotilla specialist in the United Kingdom. Our niche is operating the best maintained boats in the industry on one and two week flotillas around some of the most beautiful islands in the world. The Greek Islands are only a three hour flight from the UK. Our holidays are highly addictive and our average flotilla sailor has enjoyed between four and five holidays in the different areas. Our longest standing holidaymaker has been on more than 90 of our holidays (two-three a year!). Many of our customers have gone on to buy their own yachts and cruise the world, but most have to work for a living and our job is to make each week or fortnight special. Barrie and Heidi remain fully involved with all aspects of the business (stress? what stress?) and enjoy flotilla sailing every year. Their children, Amy and Alice (now grown up!) especially enjoyed the family atmosphere on the school holiday flotillas, and now travel out with their own friends. The Sailing Holidays team know of no better way to give your brain a break than a Flotilla Sailing Holiday in the sunny Greek Islands!